The challenge to Western hegemony - The rise of China, India, Brazil and the revival of Russia have powerful impacts on the nature of what has long been regarded as a fixed point in IR – a common (Western, and mainly liberal) understanding of global order. The growing self-confidence of the BRICS and others as well as the emerging focus on everyday phenomena and subnational actors/groups in international politics, however, show that Western dominant views are increasingly questioned. Can a common foundation of values, ideas and interests emerge from these multifaceted challenges to Western power and values? The challenge to inter/national and regional governability - The economic recession, environmental problems such as climate change, the decision of the American-led coalition to go to war in Iraq without Security Council approval, the threat of ISIS, the failure of the EU Constitution and later the Lisbon Treaty to secure popular approval and the inability of the UN to make much difference to many problems have all exposed serious deficiencies in the regional and global governance instruments that many once saw as the basis of a ‘new world order’. Is this merely a pause in an inevitable progress towards further global and regional integration or are we facing some more fundamental problems associated with the rise of multiple heterogonous and intertwined orders in global politics? How do these increasing frictions and crises impede the maintenance of national coherence in Western and non-Western states? Ideologies, Religion, Nationalism and Extremism - A consequence of globalisation has been an attempt to reaffirm various local or particular identities in response to perceived challenges of globalisation, such as migration, economic restructuring, the spread of Western values and the decline of traditional morality. Illustrations of this phenomenon include the rise of Islamist politics as well as other forms of religious fundamentalism, the emergence of protest movements on the ground and growing digital communities, the rise of far right parties/groups in many countries and the question of internet and information security. How might these phenomena damage the prospects of a shared multilateral (or global?) framework of assumptions and common interests that most would see as essential to effective global governance? Changing World and the lack of leadership – The world we are living in is characterized by a growing amount of uncertainties. Crises and contingency seem to emerge as the "new normal" of inter/national politics. It is thus increasingly hard for political leaders to translate power into outcomes. 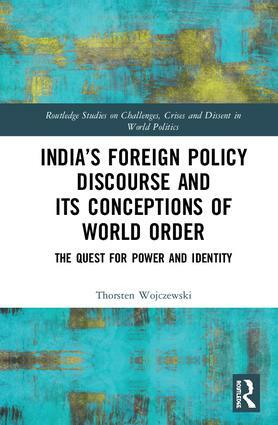 In this book series, we also invite contributions by former or current practitioners, policy advisors and scholars who are working in the field of academic/policy-divide to elaborate particularly their view on dissent and crises in current world affairs.